Hundreds of Mustang enthusiasts will converge at Ford World Headquarters this morning in honor of National Mustang Day. Ford created a 67-second Mustang Day video which is running on social media. The nostalgic effort includes historic footage of Mustangs through the ages and the drivers who are devoted to the brand. Clearly, Ford continues to do it right when it comes to the vehicle and the brand. Mustang was the top-selling sports coupe worldwide in 2017 with more than one-third of its sales going to export markets, according to Ford analysis of IHS Markit global light vehicle registration data. 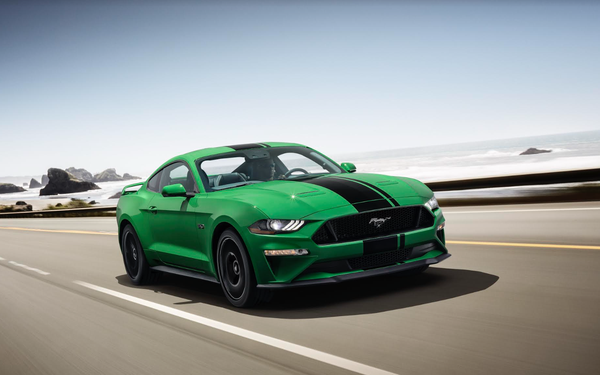 “Mustang represents the best of American design, performance and freedom, with an unmistakable personality that appeals, regardless of your postal code,” says Erich Merkle, Ford sales analyst. Global Mustang registrations in 2017 totaled 125,809 cars, according to Ford analysis of the most recent new light vehicle registration data from IHS Markit. This data — compiled from government and other sources and capturing 95% of global new vehicle volumes in more than 80 countries — puts Mustang ahead of all other sports coupe competitors worldwide. Of the nearly 126,000 vehicles registered worldwide, Ford reported 81,866 of those were sold in the United States, meaning just over one-third of all Mustang registrations are occurring in export markets. Demand remains particularly strong in China, where Mustang was the best- selling sports coupe last year based on 7,125 registrations. While sports cars have traditionally skewed toward male buyers in the United States, Mustang is increasingly finding favor with women. In an environment of relatively flat sports car sales to women, Ford research shows a 10% gain in women buying Mustang in the last five years. Now it’s Ford’s turn to come up with a clever way to wish the Camaro a happy birthday when it turns 51 later this year.